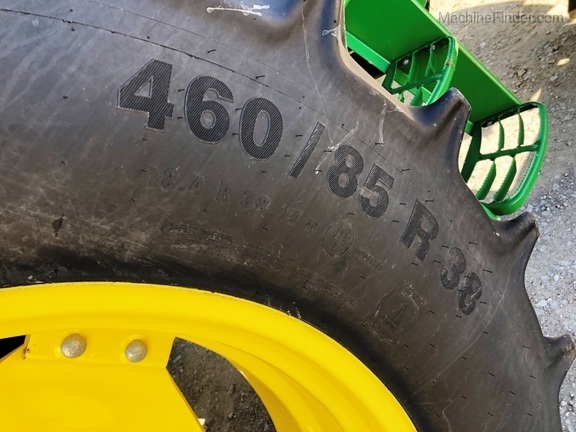 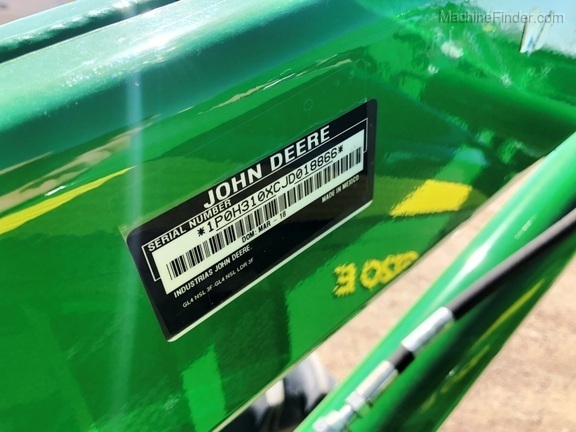 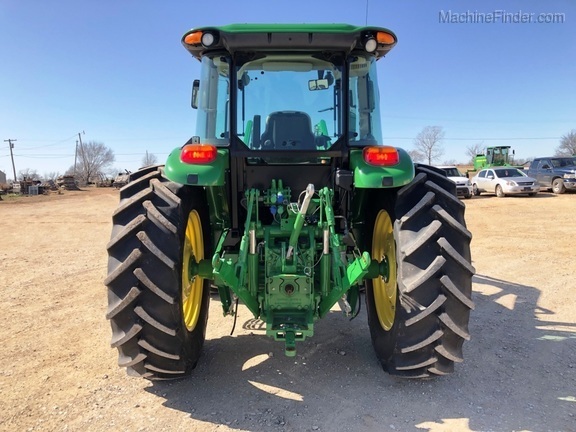 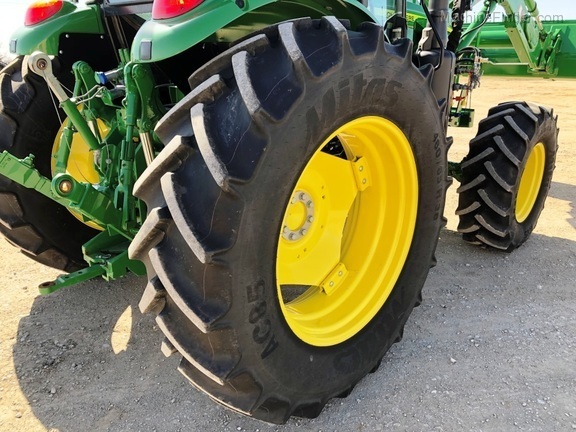 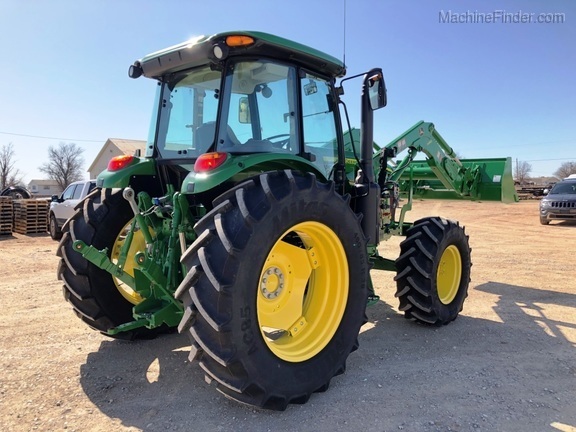 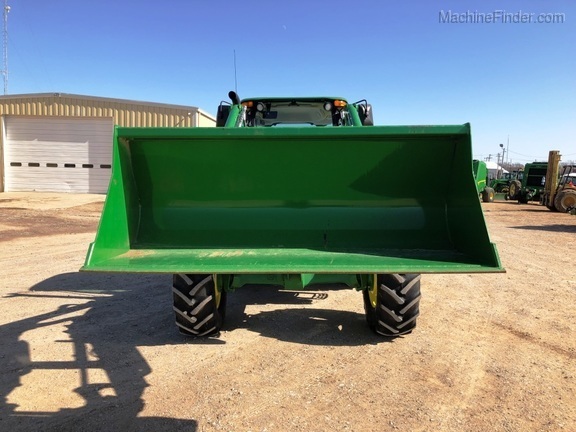 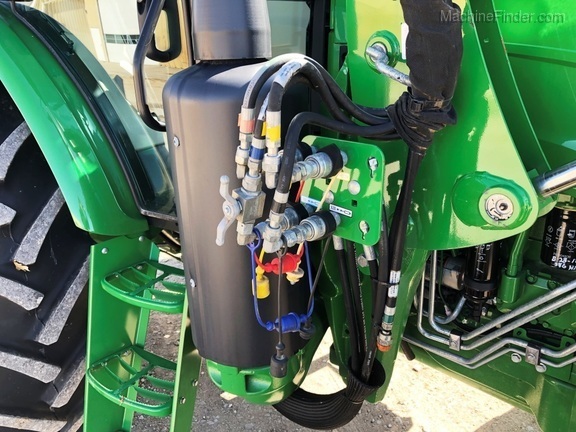 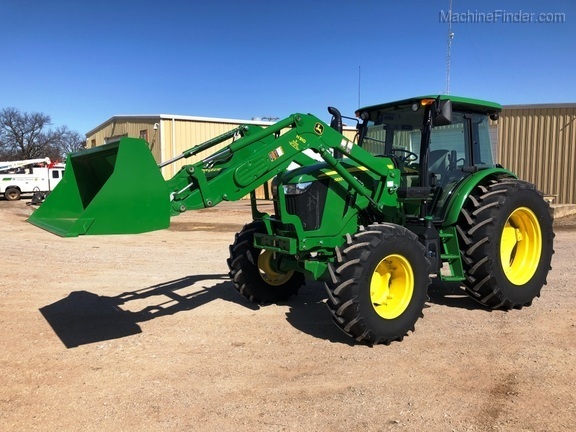 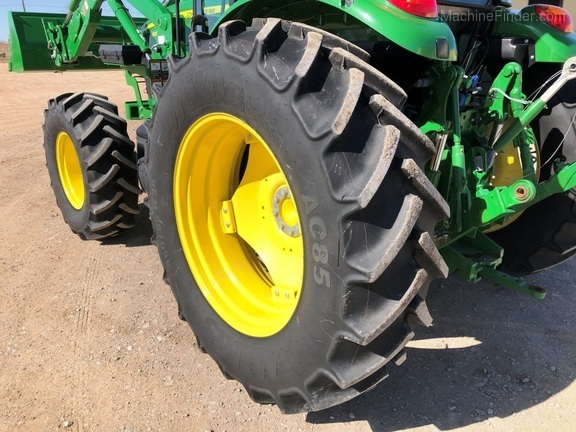 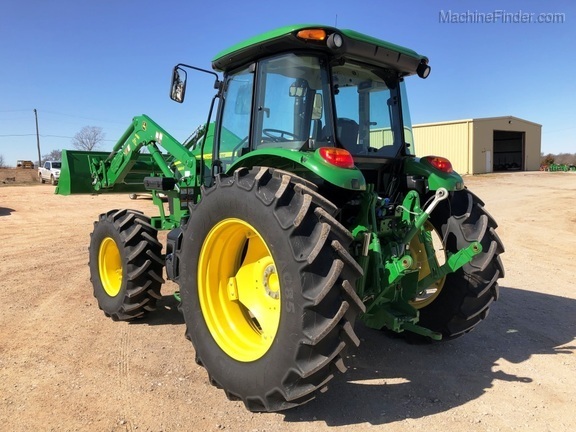 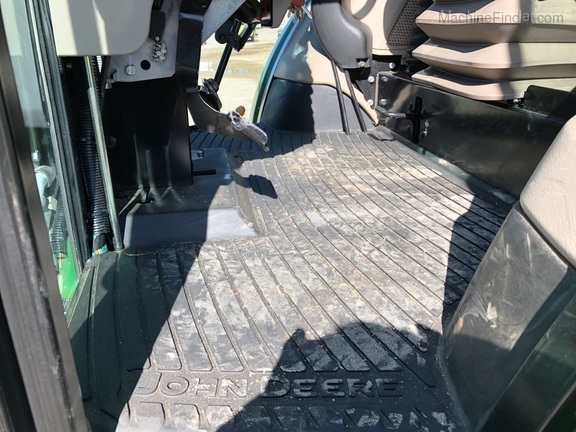 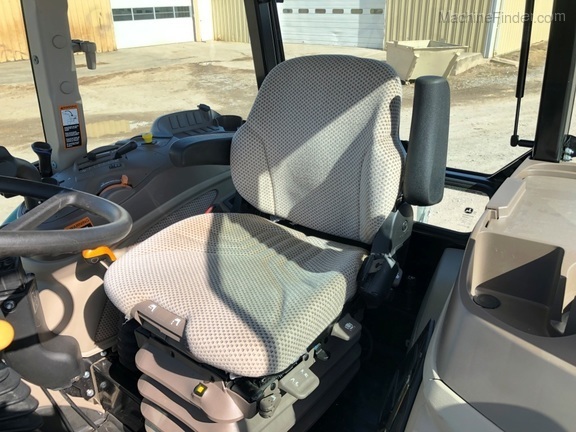 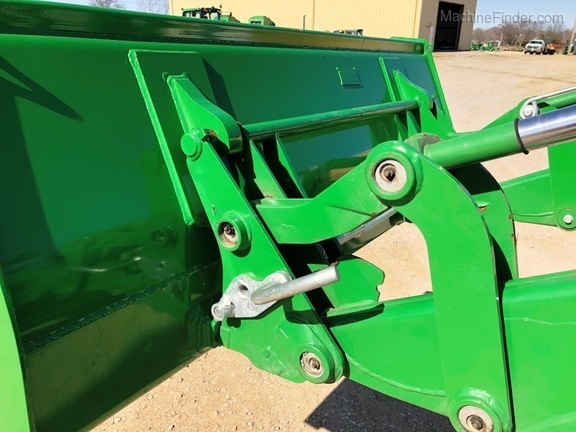 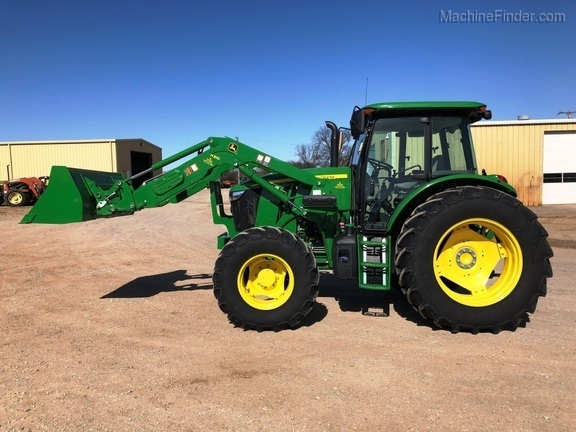 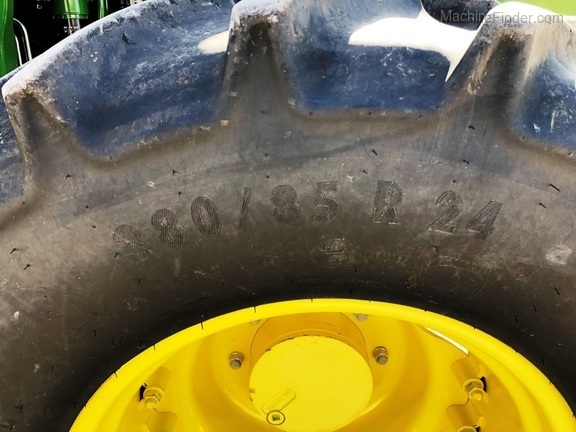 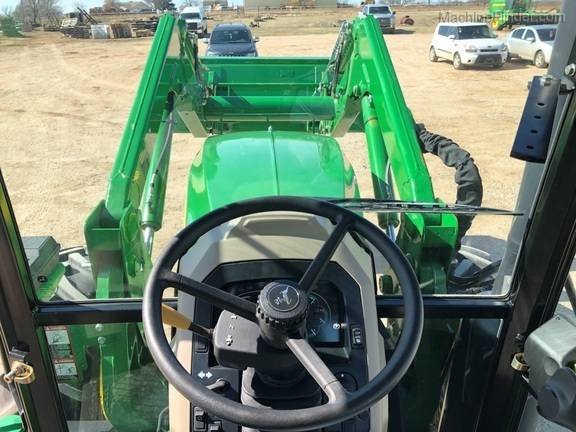 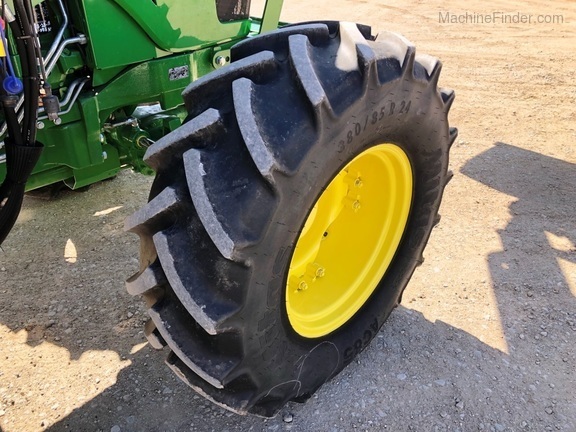 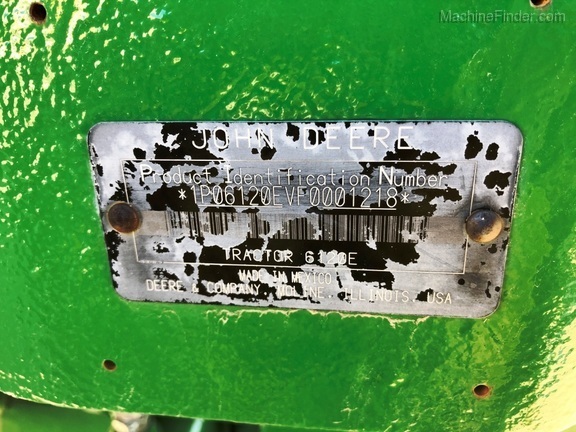 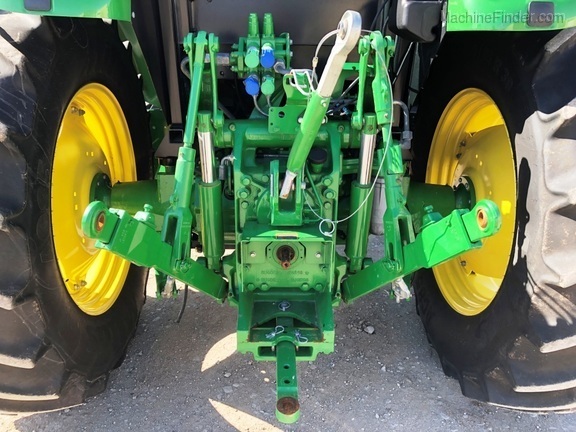 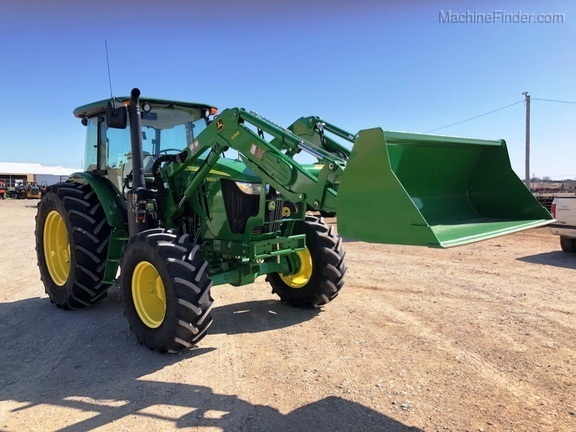 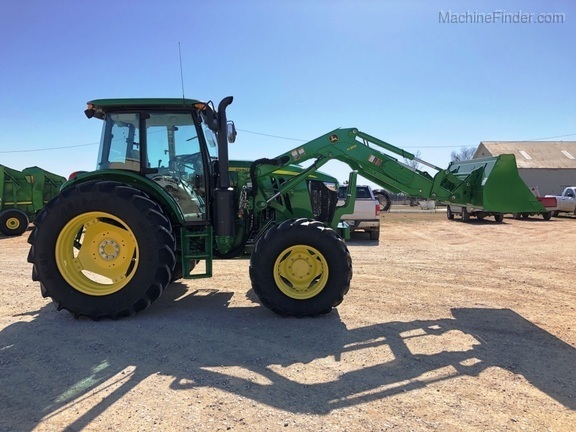 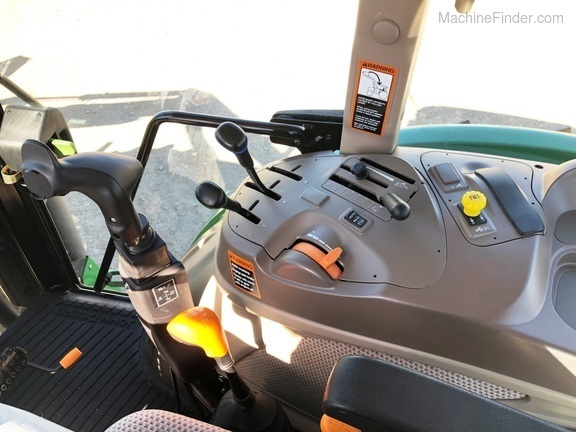 2015 John Deere 6120E tractor with H310 NSL loader (1P0H310XCJD018866). 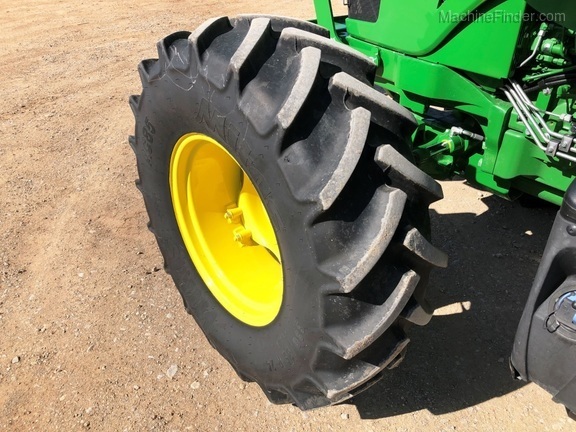 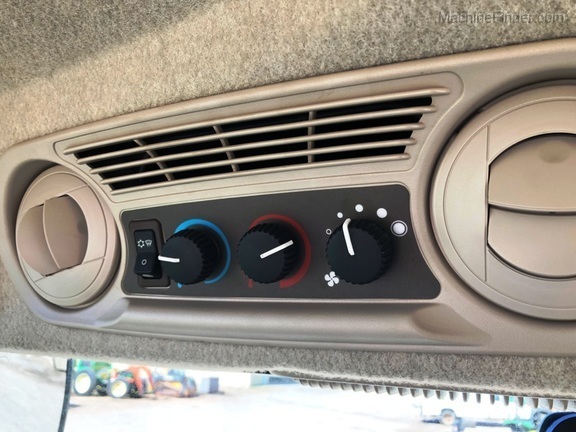 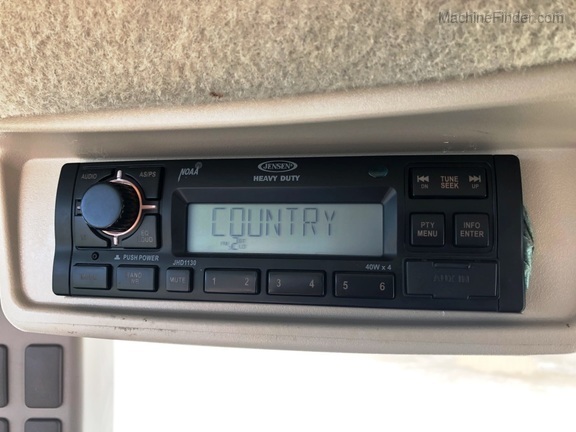 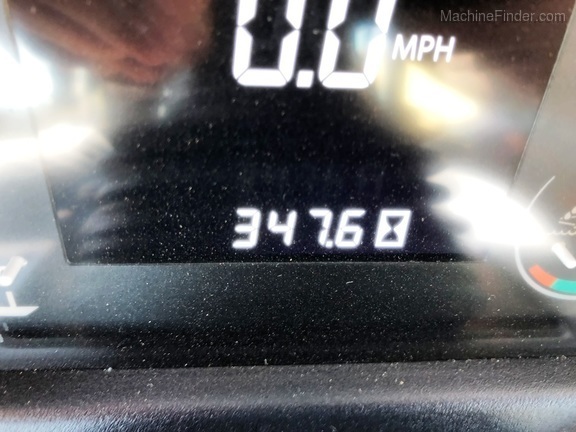 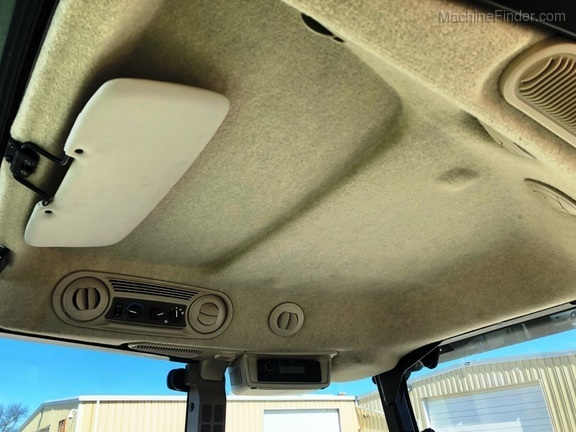 12x12 Power Reverser transmission, (2)- SCV's, standard duty hitch, telescoping draft links, 460/85R38 rear Mitas tires at 90-95%, 380/85R24 front Mitas tires at 90-95%, AM/FM radio, air ride seat, front weight support. 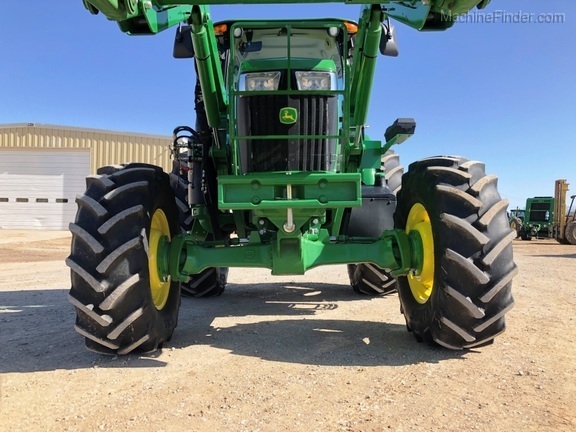 NICE tractor!